Belonging to the Meliaceae family, the Lansium domesticum is a fruit-bearing tree that is grown in South East Asia. It is originally native to the Malaysian peninsula, and is known at Langsat. It is a medium-sized tree with a single trunk, and grows up to 10 to 15 metres tall. The leaves of this tree grow to around 20 – 50 cm long per leaf, and each leaf has 5 to 7 leaflets which grow up to 20 cm each. These leaflets are dark green, glossy, and slightly leathery. The flowers of the Lansium domesticum are hermaphrodites, which means that both the pistil and stamen are in the same flower. The flowers are pale-yellow in colour. 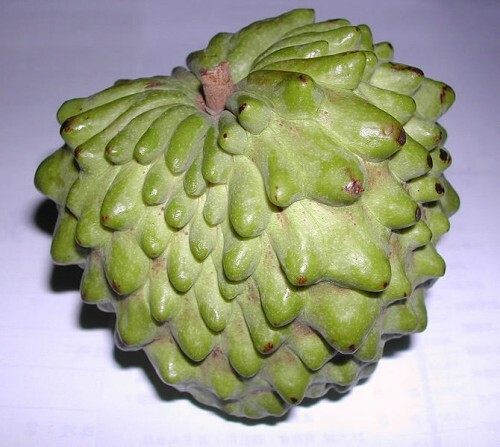 The fruit is what this tree is well known for. The fruits look like small orbs or spheres, and are about 5 cm in diameter. They are found in clusters of 2 to 30 fruits which are found along the branches and trunk of the Lansium domesticum tree. The fruit has a thick skin which is yellow-brown in colour. Underneath the skin are about 5 or 6 slices of juicy, translucent flesh. The flesh is sweet when it is ripe. There is also a green seed in half of the segments and these seeds taste very bitter. The fruit almost tastes like a sweet grapefruit or a grape, as its flesh contains glucose, fructose, and sucrose. This tree is grown throughout South East Asia, from Southern India to the Philippines. In the Philippines, this fruit is called langsa or lanzones. It is grown mostly in southern Luzon as the conditions are favourable for the Lansium domesticum. It is also found in northern Mindanao in places such as Camiguin. The Camicuin variety is known to be sweet and succulent. In west Kalimantan and southern Sumatra, the langast is an extremely popular plant. 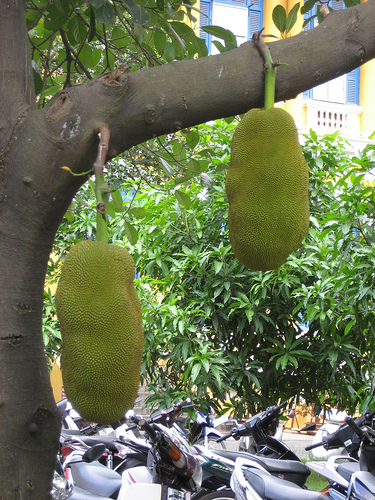 In Sumatra, this fruit is called duku. This is also the name used in Sarawak (Malaysian state in Borneo island). 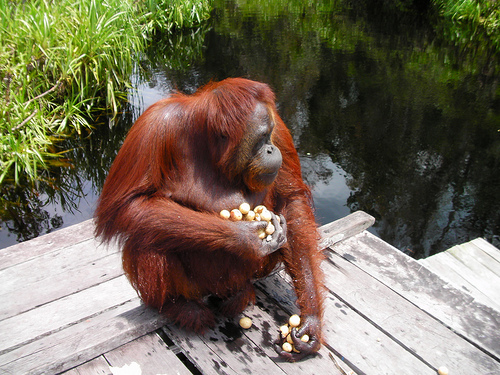 However, duku is only used for the larger varieties which are almost as big as golf balls. 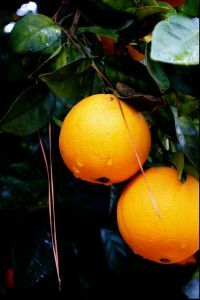 It is claimed that these larger varieties have less sap in the peel and are sweeter. In Indonesia, the Lansium domesticum grows in the wild. This area is known for being a forested area that includes the longets river in Indonesia that lays across southern Sumatra. After the river rises and floods the forest, it subsides. The result of this is not destruction, but soil enrichment. As a result, this rich soil is an excellent place to grow Lansium domesticum naturally. 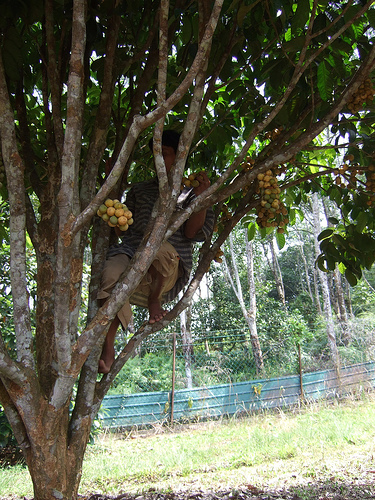 Locals will harvest the fruits every year by climbing up the tree, hold their hands onto smaller branches, and shaking it. Mature fruits will fall down to the ground. They collect these fallen fruits, transport it on a small boat, and sell it. In a good year, a 20-year old tree can produce 100 kg of fruits. Outside of the South East Asian region, it has been successfully introduced into Surinam and Hawaii. It is also grown in Costa Rica, as it was introduced by the United Fruit Company. Although the Lansium domesticum bears many fruits, it takes about 12 years to grow before fruits appear. Langsat fruits are usually eaten fresh, however they can be found canned in a syrup. In the Philippines, the seedless sections of this fruit are dried like raisins. In terms of medicinal uses, fruit peels are dried and burned as a natural mosquito repellent. They are also used to treat diarrhoea and intestinal parasites. Powdered seeds are used to reduce fever. The bark of the Lansium domesticum tree is used to treat scorpion stings and malaria.